Because I’m an insane multi-tasker n the kitchen and I do a lot of cooking on the weekends, I’ve started to bake and shred chicken breasts on Saturday or Sundays. I let them cool and then shred and refrigerate them. It’s become increasingly easy to then throw the chicken into paninis, enchiladas, or salads. 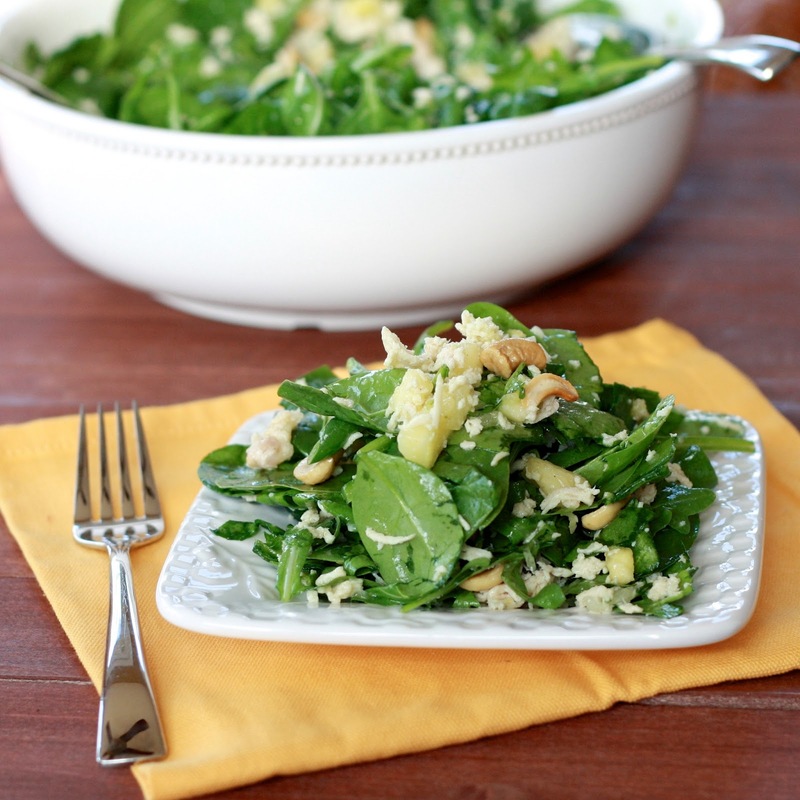 Such was the case with this Everyday Food salad recipe. [Side note: Can I just mention how thankful I am that I ripped out and saved so many Everyday Food recipes over the years? I’ve mentioned how disappointed I am that they’ve done away with the full-sized magazine but thankfully I have several recipes in my folders that I still plan to make, keeping the Everyday Food love alive!] Because the chicken was made ahead of time, this salad was quick to come together on a weeknight. 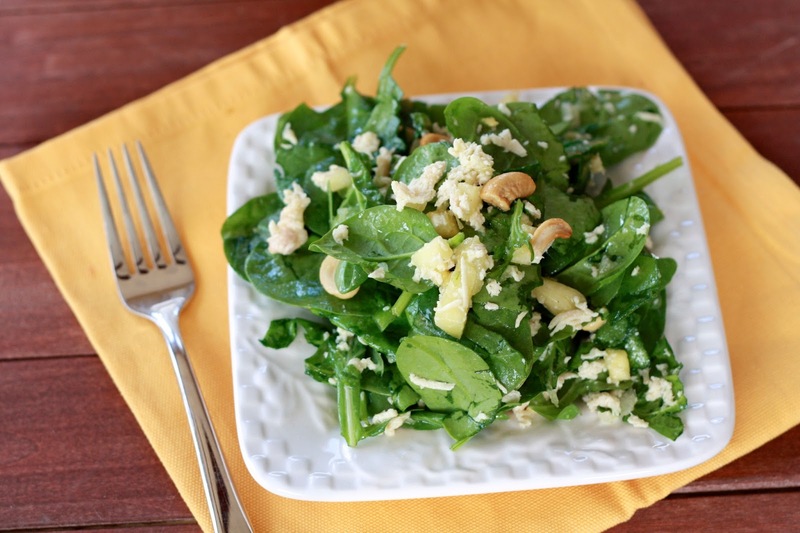 Fresh pineapple brightens the dish and cashews provide just the right amount of salty crunch! I didn’t have any cheese on hand, but it would be wonderful with a heavy sprinkle of goat cheese—much like this mango goat cheese salad. If you don’t have time to make your own chicken, you could just as easily pick up one of those pre-cooked rotisserie chickens and throw that in here. What’s your favorite use of shredded chicken? 1. Whisk together lime zest, lime juice, shallot, honey, and jalapeño in a large bowl. Add oil and whisk until combined. Season with salt and pepper and stir in pineapple. 2. 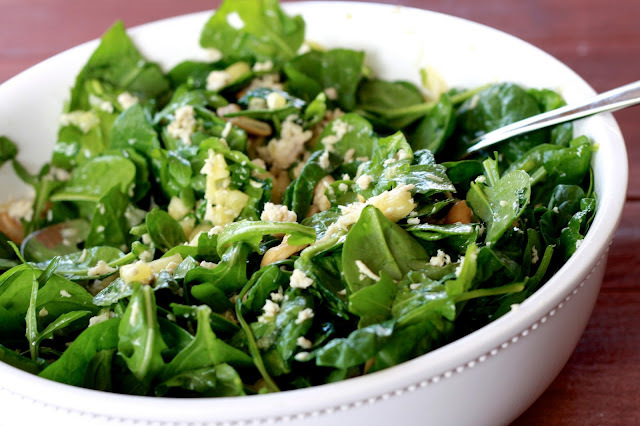 Add arugula, spinach, cashews, and chicken to the bowl. Toss until greens are coated with dressing. Serve immediately.